After a drive from Hastings, my second pier of the day in East Sussex was Eastbourne. It’s a very recognisable structure with a large pavilion at the shore end and many buildings along its length, with a Camera Obscura and theatre at the Pierhead. I arrived at the pier late afternoon, just as the large tearooms were closing. 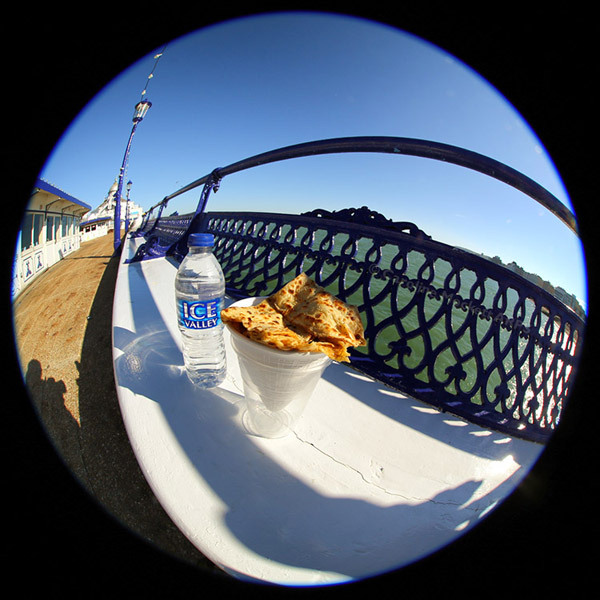 But I was able to buy a bottle of water and a delicious apple crêpe from one of the food outlets on the pier. Sadly just a few weeks after my visit, the pier was devastated by a hug fire which destroyed the pavilion and crêpe shop. But 2/3rds of the pier was saved and the rest is now being rebuilt. 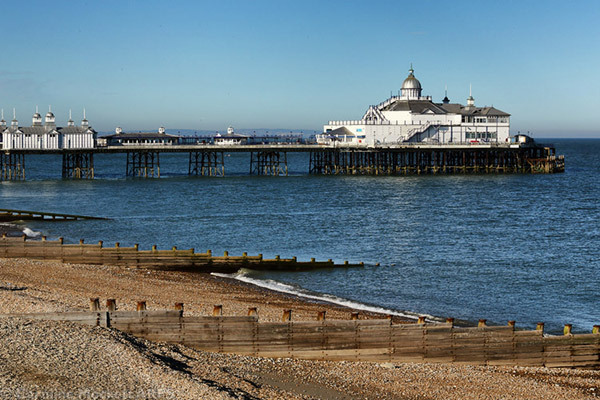 View the full gallery of images from Eastbourne Pier. My first pier in East Sussex was at Hastings. It’s currently in a rather sorry state, having burned down in 2010, but is in the process of being repaired. It’s hoped it will be open to the public again by Summer 2015. 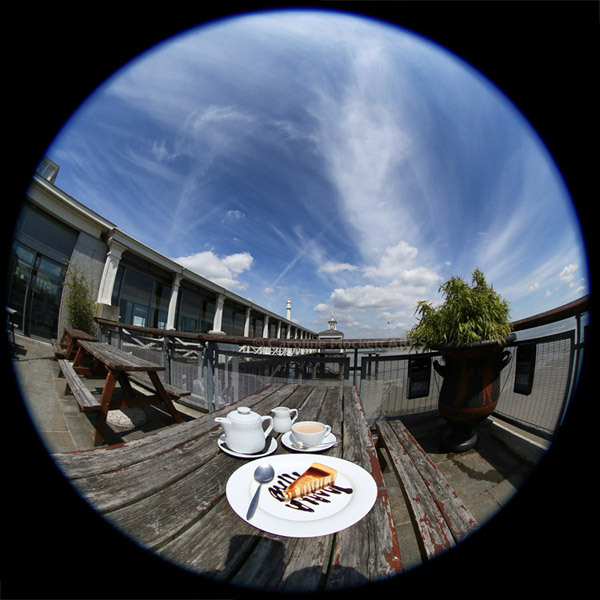 Obviously, there wasn’t anywhere to have cake on the pier itself, but I found a hotel just opposite where I had a tasty hot chocolate sponge on their terrace overlooking the works. 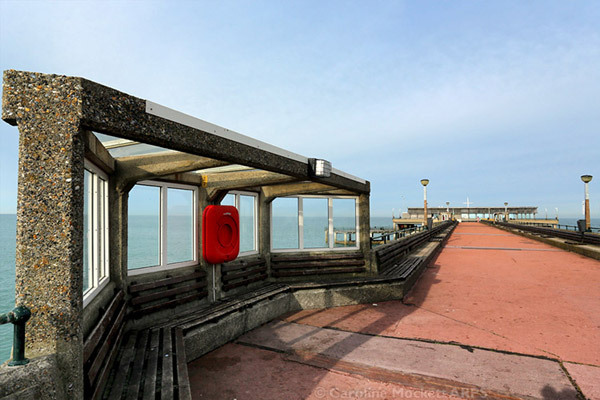 View the full gallery of images from Hastings Pier. My final Kent pier after visiting Gravesend Town and Herne Bay, was Deal, half way down the eastern coast. The current concrete pier was opened in 1957 by the Duke of Edinburgh and is rather Brutalist in design. But it is well used by holiday makers visiting the pierhead café and folks fishing from the lower decks. 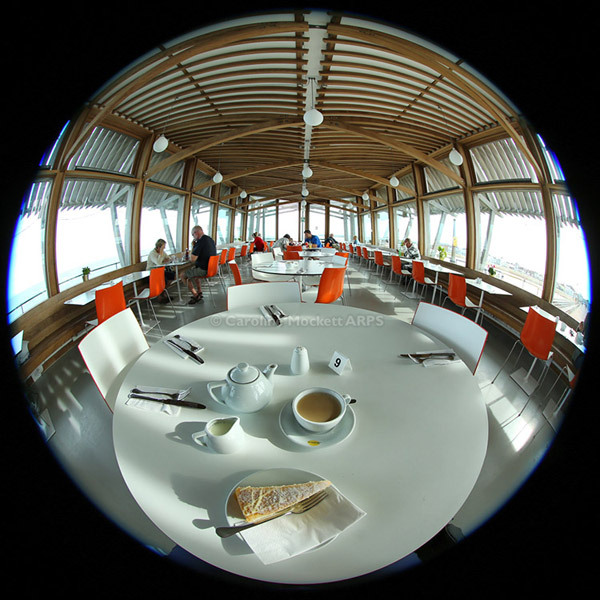 The café is a large building with light and airy interior thanks to the all-round windows looking out onto the English Channel. The cheesecake was delicious. 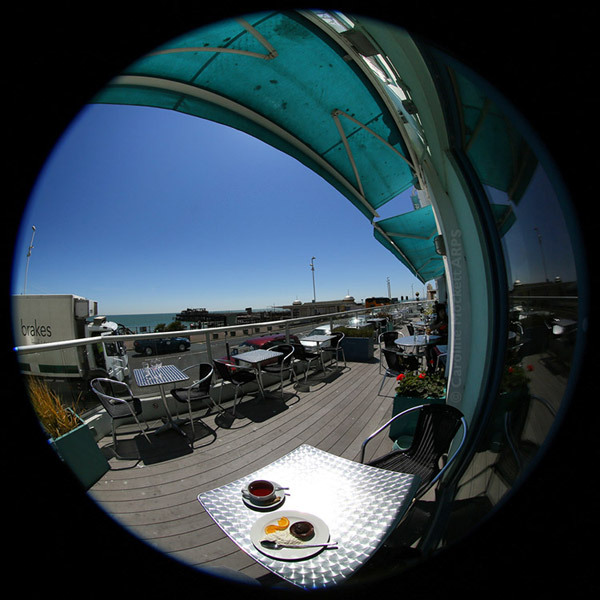 View the full gallery of images from Deal Pier. The second pier in my Kentish adventure after Gravesend Town was Herne Bay on the northern coast. The current pier is the third incarnation on the site, but is now a shadow of its former self, having mostly destroyed by a storm in 1978. 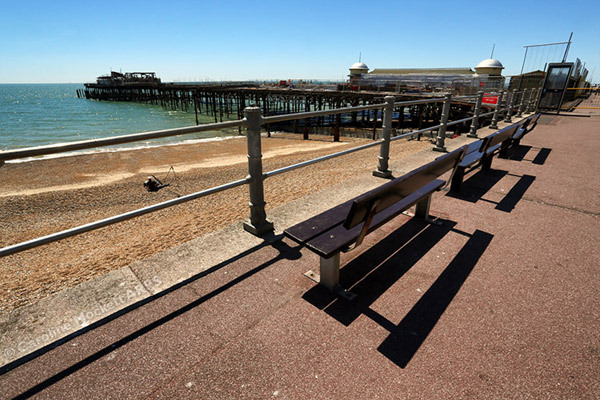 There are plans afoot to revamp the pier, which we can hope will come to fruition in the near future. 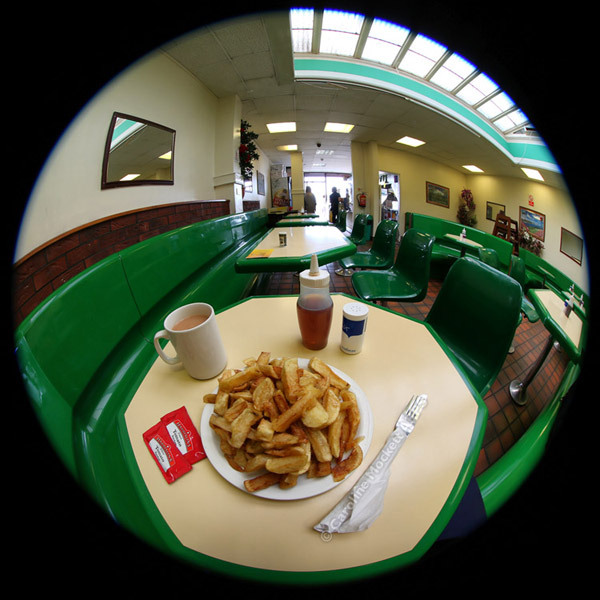 During my visit, there was no cake available, but I did manage to find a tasty plate of chips at a cafe overlooking the pier on the prom. View the full gallery of image from Herne Bay Pier. Gravesend is a working town on the southern banks of the River Thames. The Town Pier is a curious mixture of working pier and leisure facility. A newly-built linkspan means that the Tilbury Ferry and pleasure craft like the PS Waverley can now easily dock at the pier, rather than a little further up the Thames Estuary. Huge container ships can be seen across the river, unloading at Tilbury Docks. This is the first pier in Kent I have visited for the project. The posh restaurant on the pier also served a delicious slice of cheesecake with my tea. 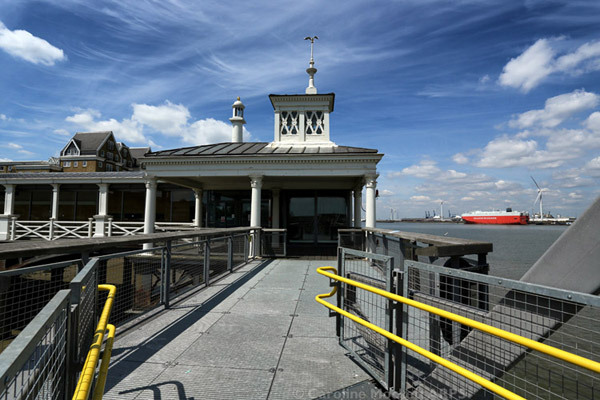 View the full gallery of image from Gravesend Town Pier.